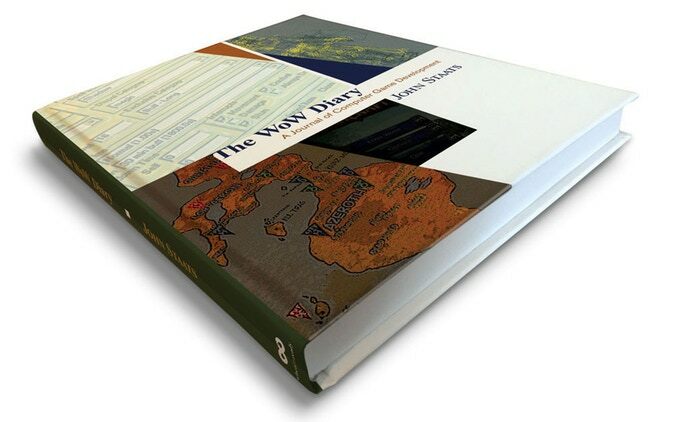 In something of an amazing turn around, or a demonstration of how well things can go when you do it right, the second Kickstarter campaign for the World of Warcraft Diary closed up earlier today having brought in $598,999 from 8,379 backers. Considering the ask for the campaign was a modest $10,000, that is quite a feat. In fact, the second campaign was almost the opposite of the first one back in March, which asked for $400,000 and couldn’t even get to $10,000. Instead the new campaign reached 10x its goal in the first 24 hours and averaged over $43,000 a day over the course of the campaign. That is a wild success by any measure and along the way The World of Warcraft Diary became the highest funded non-fiction book on Kickstarter. This is an example of getting everything right after having done many things wrong (no advance notices of the campaign, no press build-up, no kind words/backing from Blizzard, asking for too much money, and not having a plan for updates). The campaign also again shows that Kickstarter is better for some things, discreet projects like books or other art, and less good for more complicated things like video games, especially online massively multiplayer video games and Minecraft servers. The promised date for delivery for the book is December 2018, so in theory I might get my copy by Christmas. Yet I suspect it will be late. Not every project I have backed has been long delayed, but I think the closest any project has come was to show up a month late. It will be something for me to read early in the new year I hope. This entry was posted in Books, entertainment, Kickstarter, World of Warcraft and tagged The WoW Diary, World of Warcraft Diary on September 25, 2018 by Wilhelm Arcturus. That’s quite impressive. The power of not screwing things up, I guess. I could probably pull up a few dozen studies in psychology about marketing. When you come out of the gate with no notice asking for $400,000, the mindset is it’s a money grab. Being more humble and thought out in your approach can generate more interest. Try to sell a raffle ticket for a $50,000 car for $100 a pop, even if people know it’s a 1 in 1000 shot of winning, not many would even consider. But sell the same for $5, people will drop $100 even at 1 in 20,000 odds. Because it’s only $5 and they are getting 20 chances. It’s totally different. I hope you have the book for the holidays. It’s incredible how much marketing John Staats did this time around as well. I saw him show up and talk about his book on at least three different WoW YouTube channels. The question this brings immediately to my mind is this: if the $10,000 originally set was enough to complete the project, what are they going to do with the other $588,999? The Kickstarter pitch – for the original $10k – specifies “the money will support printing, binding, packaging, and shipping. It will also cover the operational costs and fees associated with selling extras on Amazon.com”. If 10k was deemed enough to cover that, it seems unlikely that another half a billion dollars is going to be needed to add the stretch goals of a Kickstarter dedication page, gold foil lettering on the spine and spot varnishing on the illustrations. Perhaps the key is this: “The Gold Kickstarter Edition will never be reprinted. Owning one means you’ve helped found my new company, whenitsready”. Do you get shares in it? I owe you thanks; I pledged as soon as I read your post about it. I’m so glad to see it become alive! @Bhagpuss – Assuming minimum contributions to get a hardcover copy, $40, he would have had to have sold 250 in order to hit his $10,000 threshold. I imagine that was the minimum order level for the publisher to start a print run. Then he sold an additional 8,123 copies of the book, over 1,100 of which were specially printed showcase editions with an additional set of reading material, which ran $150, and 20 super special press sheet editions for $300. All of that has incremental per unit costs, so I doubt he’ll be stuffing $588,999 in his pocket. And, of course, Kickstarter will take their cut right off the top. The campaign was tuned for just a 250 book run, so he’ll get discounts and such for quantity I am sure. But as the amount went higher there were stretch goals that improved the quality of the first run of books, so those of us who kicked in $40 for the book are getting something nicer than we would have if he’d only sold 250. Still, I am sure he’ll have some money left over. But the book was his creation, I’m not going to worry if he made some extra cash for himself as part of the effort. Good for him, really. Yes, I was being overly cynical there. I didn’t really think it was a scam of any kind. I just find all these book Kickstarters a bit weird. After all, a book has fixed costs and glossy, coffee-table books are an industry standard. I don’t really see why something like this needs a Kickstarter at all, especially so in this case since it had already been written and there’s no suggestion the money was needed up front to cover the author’s living expenses as he wrote it. In effect it seems to be a complicated and expensive way of taking pre-orders – although perhaps it’s actually a cost-effective way of generating the necessary publicity to get those orders. Kickstarter’s 8% would buy an awful lot of traditional PR though. It’s because I work in the book trade – I see one of these and I always wonder why it’s not being published by a mainstream publisher, given the level of demand. Another sign of the way the traditional producers of creative and entertainment product are being sidelined, I think. @Bhagpuss – The thing with Kickstarter is that it does what the internet is very good at; it finds the niche sub-culture that wants this book. I do not know very much about publishing. (That sentence is always a warning that the person uttering it should just shut up, but I will carry on like every other idiot.) My uncle had a book about the Middle-East published by W. W. Norton, my dad sold textbooks for a while after college, and the stories I have heard paint the whole industry as only slightly more reputable than the record industry. But my guess would be that a publishing house like HarperCollins, Simon & Schuster, or Penguin, who all have divisions that will publish endless hardbacks on things like the Austro-Prussian War of 1866, would have laughed this guy and his video game book out the door. The proposals would have been neither popular enough to be mainstream nor academic enough to burnish their reputation. Correct me if I am wrong, but is there a publisher out there that would do this sort of title justice, that covers this niche? Who publishes video game history?